Nothing beats homemade ice cream, but making silky, rich ice cream can be a bit of a palaver. 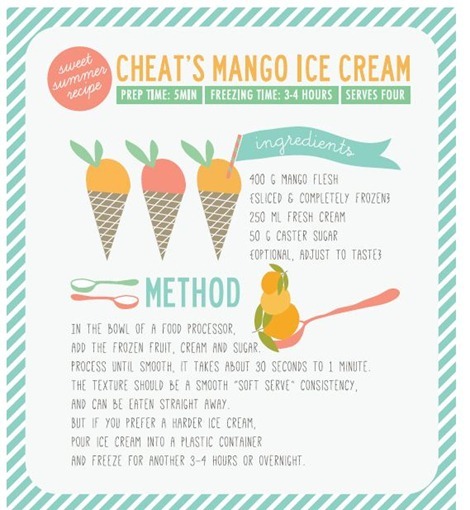 We shared this easy Cheat’s version, inspired by Donna Hay, at the start of our summer and it was an instant hit with our readers. This recipe will become part of your summertime repertoire for last-minute entertaining or even a weeknight treat. 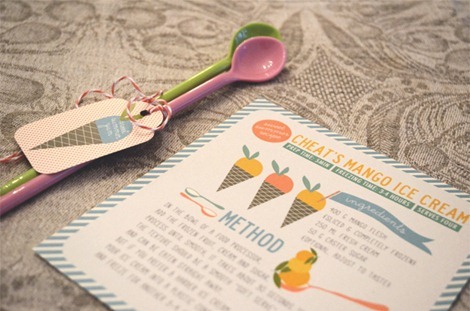 So we have made it easy to remember by creating a pretty recipe card to put in your recipe file. 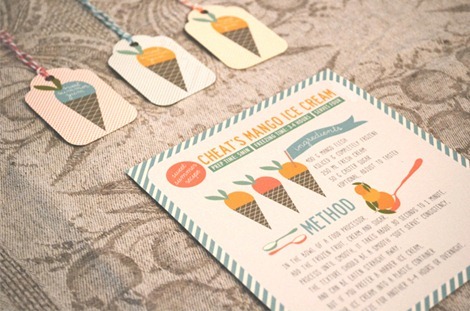 We’ve even added some matching ice cream tags. 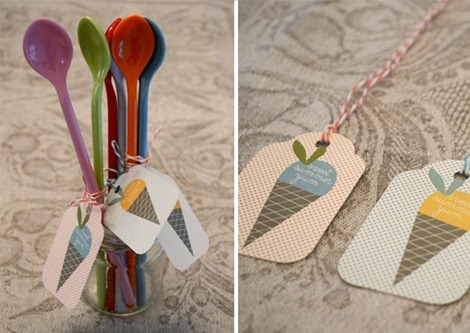 To make a lovely hostess or housewarming gift, buy some ice cream spoons or bowls and add the recipe card and tags for a personal touch. 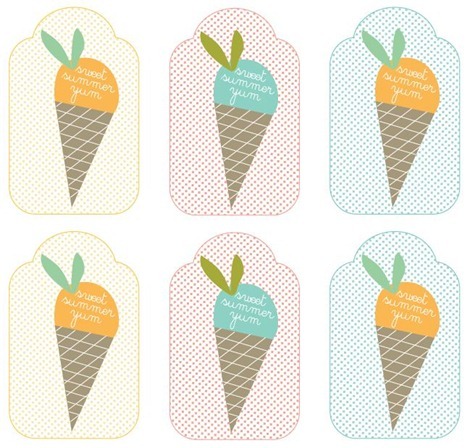 Download the summer recipe card and tag printables here! 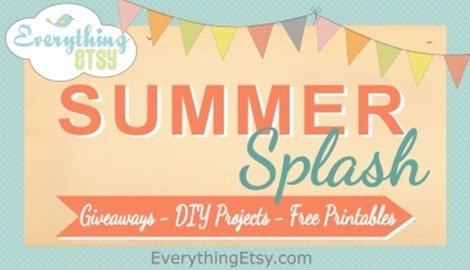 This lovely Summer Splash guest post is from The Pretty Blog! Founders Nicola Pretorius & Christine Meintjes do a beautiful job of sharing creative ideas and wedding inspiration or a regular basis. They are located in South Africa! You’ll want to add this blog to your daily reads…trust me! I’ve been reading it for years! Don’t miss any of our Summer Series guest posts full of DIY projects and free printables for summer! Stop by each Friday for our brand new Crafty Girl Linky Party and share your projects!!! Did you miss yesterday’s Summer Splash post?? It’s here…Shrinky Polka Dot Necklace Tutorial & Printable. 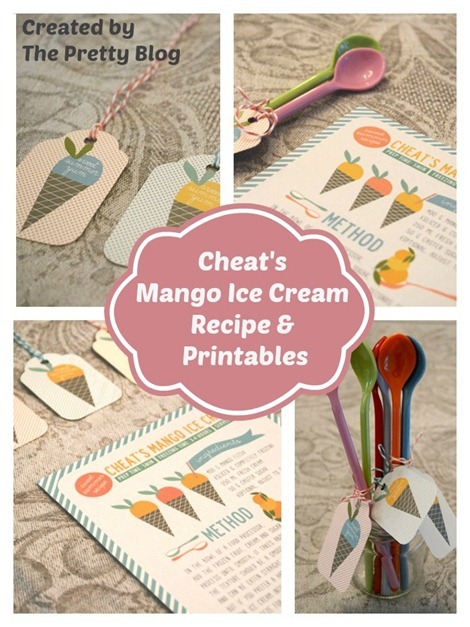 Such sweet printables & I can’t wait to try the mango iced cream recipe (seems like an ultra easy one to make dairy free). Thank You so much, Kim!